I Grow Chicago is rooted in the power of people coming together and sharing their experiences. Join the Associate Board of I Grow Chicago for the Second Annual I Grow Chicago Gather Gala on Thursday, October 18, 2018 at Salvage One! This unique event will bring together individuals and businesses from all across Chicago, doing what they can to help empower the residents of Englewood that I Grow Chicago serves. 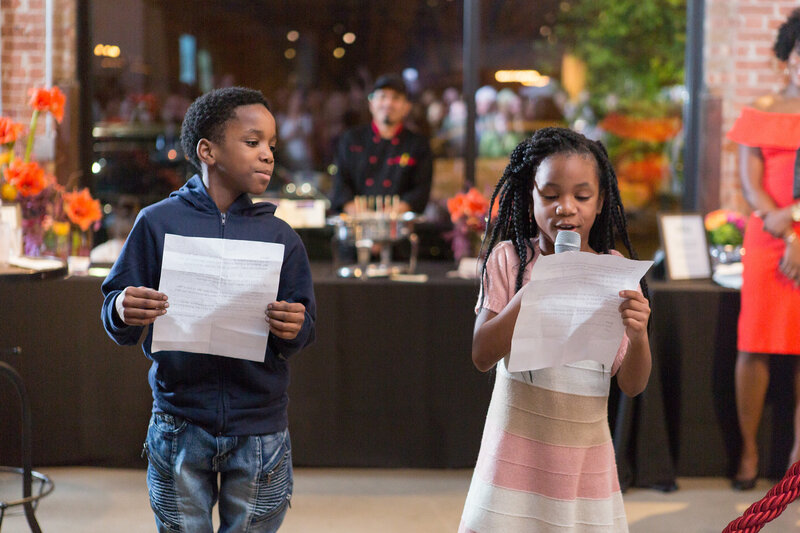 Gather: the I Grow Chicago Gala will feature delectable bites from Entertaining Company and delicious wine from Cream Wine. Spend the evening socializing, enjoying food and drink, dancing the night away to amazing music, and bidding on an array of amazing silent auction items such as a a spa retreat with Allyu Spa, wellness packages from Sat Nam Yoga, and a painting by local South Side artist Tonya Rippy. Curious about dress code? We encourage attendees to dress in “cool cocktail” or “urban chic” attire. Leave your gown and tux at home and wear something fun and celebratory — a fun cocktail dress, jeans with a chic blazer, or cool pants with a shirt and tie. Think semi-dressy but fun — and show off your personal style! I Grow Chicago is a small grassroots organization comprised of Englewood community residents and partners wanting to make a difference in the lives of their neighbors. In 2012, I Grow Chicago founder and president, Robbin Carroll, began her work as a volunteer yoga teacher for children at the Montessori School of Englewood. Through yoga and mindfulness practice, her intention was to provide children with some relief from the stress and trauma caused by continued exposure to violence. It became evident, however, that much of the stress and challenges experienced by the children occurred outside the school’s walls. 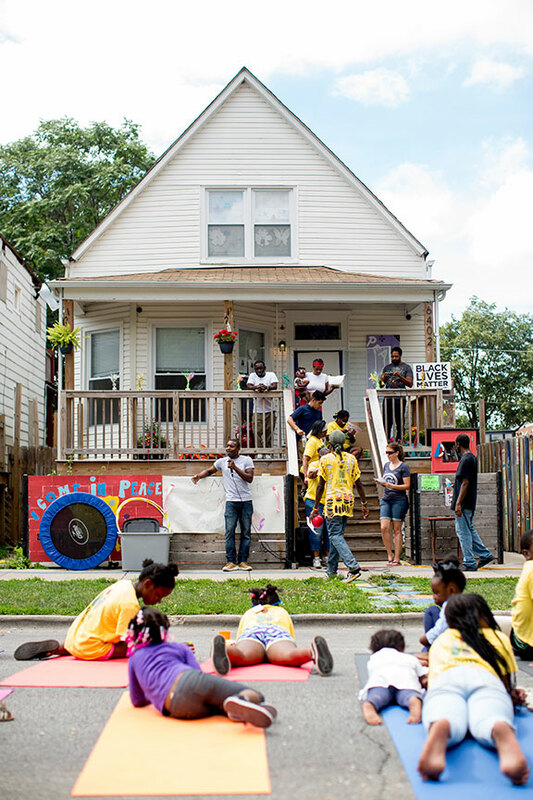 In 2013, Carroll expanded her efforts to the streets of Englewood and officially incorporated I Grow Chicago with the mission to create an environment to connect and belong in order to foster wellness, justice, and dignity for all. Carroll purchased an abandoned home on one of the most violent blocks in the city the week before it was supposed to be demolished, with the vision to transform the house into a healing space for all ages. Instead of hiring contractors to do the work of renovating the house, she asked them to train community members to do the work themselves, providing jobs and learning opportunities to more than 50 people in the community. In April 2014, the Peace House officially opened, and since then there hasn’t been a single homicide on the block. Today, I Grow Chicago runs more than 15 programs out of the Peace House, using a holistic engagement model of sustainable farming and nutrition, yoga and other movement, creative expression, mentorship, and individualized supports. All our programs combat the isolation and trauma that come with violence and poverty.